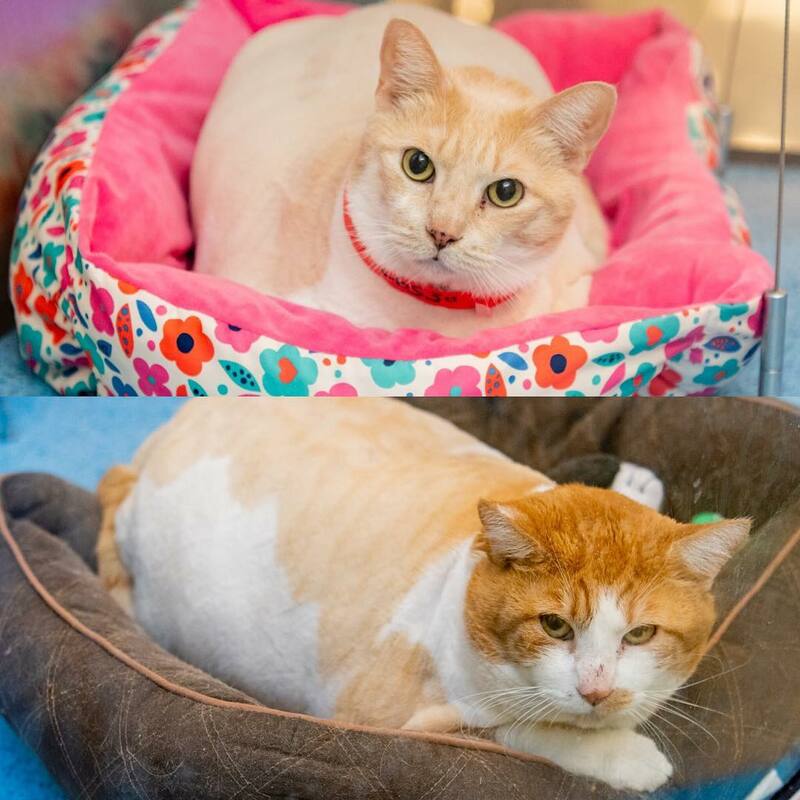 Meet Lucky (top) and Fluffy (bottom), these two BFFs were surrendered together. Their fur was so matted, the shelter shaved them down. I’m networking them together, so they can stay together for their remainder of their time on this planet, after 8 years, they lose their family, they can’t lose each other too. Lucky #A2026530, is a spayed female cream tabby and white Domestic Shorthair, approach 8 and Fluffy #A2026529, male orange tabby and white Domestic Shorthair, also 8 years. Let’s find these precious souls a home, with comfy beds, and lots of treats. @sit.snap.save .